For the month of April we are offering a gift with purchase at all of our Citta Design stores in New Zealand & Australia. 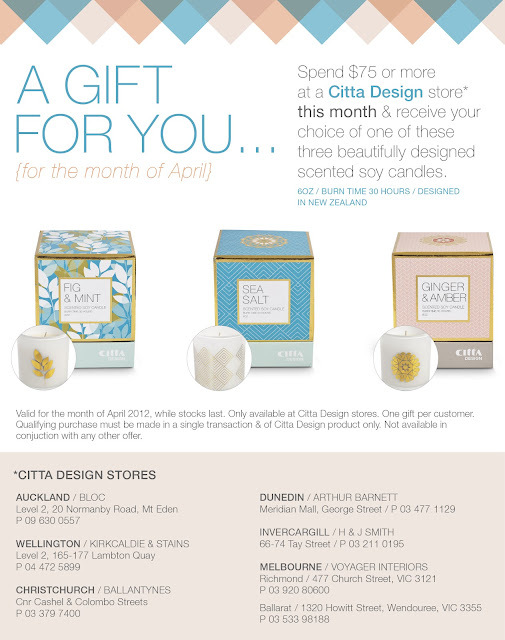 Spend $75 or more on Citta Design product and receive your choice of one of the above scented soy candles. 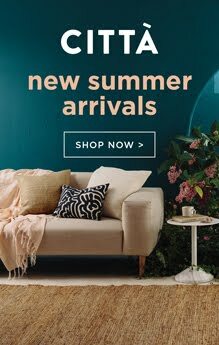 Beautifully designed by our Citta Design team here in New Zealand, not only are they gorgeous, they're designed so that you can reuse the packaging long after the candle has finished. See you instore!